Real Madrid defender, Sergio Ramos may face a possible two-game ban from UEFA if found guilty of picking up a deliberate booking against Ajax. Ramos saw a yellow card from the center referee for a late foul on Ajax forward Kasper Dolberg in the 89th minute of the Champions League last 16 first leg clash on Wednesday night, two minutes after Marco Asensio’s goal had sealed a 2-1 win. 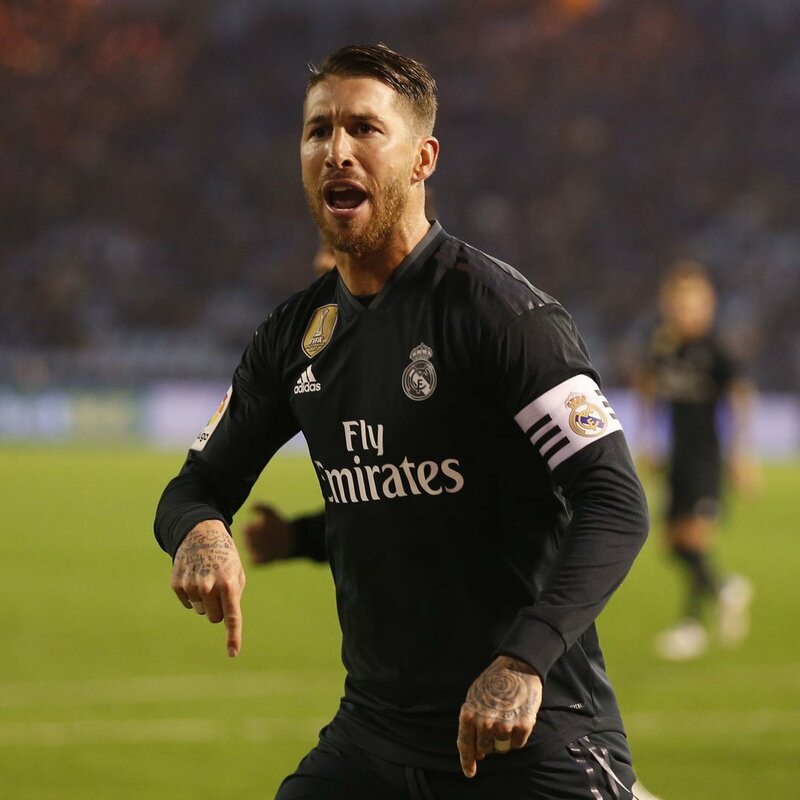 Los Blancos captain appeared to admit after the match that the foul was an intentional ruse so that he could miss the second leg at the Santiago Bernabeu but return in time for the quarter-finals. Thanks to a UEFA ruling on deliberate yellow cards, Ramos could also miss the first leg of the quarter-finals should the club progress. As per the UEFA Disciplinary Regulations, players face a two-game suspension “For clearly receiving a yellow or red card on purpose”. This is a punishment Ramos’ Real Madrid teammate Dani Carvajal received after a yellow card against Apoel Nicosia in the group stage of last year’s Champions League was deemed deliberate. Speaking to Spanish television after the game, the Real captain appeared to admit he purposefully tried to get booked. Ramos later took to social media to claim he did not “Force the card”.